Here is my last weekly update of the 2013 Georgia General Assembly Session for the State Bar of Georgia, which was extremely successful for the State Bar with the passage of the Juvenile Justice Reform bill and the passage of an amendment making legal malpractice claims nonassignable to third parties. I am very proud of the Bar’s Legislative efforts this year, our superb lobbying team, and our new grassroots program. Thank you, also, to all the legislators who gave of their time to represent the citizens of Georgia so selflessly. We appreciate your sacrifice. 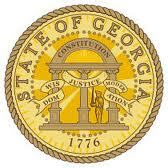 Thursday, March 28, marked the last day of the 2013 legislative session, one of the most successful on record for the State Bar of Georgia. This session saw the passage of several major initiatives of the State Bar, highlighted by a comprehensive rewrite of the Juvenile Code. The passage of Juvenile Justice Code was a major success for the State Bar and most importantly for Georgia’s justice system and for the citizens of our great state. This new approach, focusing away from the old system of youth detention, puts an increased focus on community based programs and counseling with the ultimate goal of returning these troubled youths to our neighborhoods as productive members of society. A major initiate of Gov. Nathan Deal’s Special Council on Criminal Justice Reform, passage of the Juvenile Code was truly a bipartisan effort from the outset and stands to help improve our state for years to come. Another key initiative of the Bar was the passage of an amendment to OCGA 44-12-24 to prohibit the assignment of legal malpractice claims. The genesis of this issue dealt with the case of Villanueva v. First American Title in which the Supreme Court of Georgia found that malpractice claims are assignable. Despite the two Amicus briefs filed by the Bar arguing the exact opposite, the Court upheld its decision with just a few weeks left in session. With diligent work by our lobbying team and with the help of several key legislators, we were able to find a bill, HB 359, that we could attach an amendment to which would prohibit the assignment of legal malpractice claims. Ultimately, HB 359 received final passage in both chambers, and once signed by the governor, will be the law of the land. •Funding request for victims of domestic violence and the Appellate Resource Center were included in the final version of the amended FY 2013 budget that passed the House and Senate. •HB 242, the juvenile code, passed the House and Senate and is awaiting the governor’s signature. •SB 185, the uniform commercial code article 9, passed both chambers and is awaiting the governor’s signature. •HB 160, prohibition of transfer fee covenants, passed both chambers and is awaiting the governor’s signature. •SB 204, the amendment of interlocutory appeal procedure in child custody cases, passed both chambers and is awaiting the governor’s signature. •HB 161, updating the language used in the oath of bailiffs, passed both chambers and is awaiting the governor’s signature. •SB 159, modification of the rules against perpetuities, is in the Senate Civil Judiciary Committee and will be considered in the 2014 session. •HB 654, dealing with testamentary guardianships, is in the House Civil Judiciary Committee and will be considered in the 2014 session. •HB 685, updating the Uniform Deployed Parents Custody and Visitation Act, is in the House Civil Judiciary Committee and will be considered in the 2014 session. In other news under the Gold Dome, ethics reform received final passage from both chambers and in so doing revamped the ethical standards under which elected officials and lobbyists must operate. Perhaps the most high profile legislation of the 2013 session, the ethics reform legislation limits lobbyists’ gifts to individual lawmakers at $75 per expenditure. Another key provision was whether or not to make citizens register as a lobbyist should they visit the Capitol to advocate for a particular issue. In the end, lawmakers chose to require registration for paid lobbyists and activists who are reimbursed for more than $250 of expenses a year. Should Gov. Deal ultimately sign the legislation, the new measures will apply to state as well as local lawmakers. In addition, the bill will restore rule-making authority to the state’s ethics commissions, an authority it lost several years ago. In addition, SB 136 received final passage, which lowers the legal blood alcohol level from .10 to .08 while operating a boat. This major piece of Gov. Deal’s 2013 legislative agenda awaits his signature. The legislation was proposed after three high profile deaths of children last summer on Lake Lanier due to boaters driving under the influence. In budget news, the FY 2014 budget passed on the final day of session in bipartisan fashion. The $19.8 billion spending bill, the only item the general assembly is constitutionally mandated to pass, made cuts to most state agencies for the 2014 fiscal year while increasing funding to Georgia’s Pre-K program and healthcare system. Much of this year’s legislative success was due to the yeoman’s work put in by our State Bar of Georgia lobbying team. In addition, special thanks must be paid to our State Bar members who joined our grassroots network, spent time at the Capitol attending a Lobby Day and contacted their legislators to let their voices be heard.